Have you watched the video and noticed the positive hype around The DAILY MILE™? We love the energy and smiles! We agree completely with The DAILY MILE’s call to action: ‘Children Fit for Life’. We love the fact that schools and councils are standing up and taking action, that schools are even changing their dress code policies so that children can wear suitable footwear. To find out more about The DAILY MILE, click here. We love the fact that latest chapter in the Childhood Obesity Plan of Action has built on its previous chapter and mentions The DAILY MILE! The DAILY MILE claims to improve learning readiness, concentration and behaviour – which leads to better attainment. We too know that physical activity builds children’s confidence, resilience and determination. For further details, read the Schools Week article, ‘The Daily Mile is No Magic Silver Bullet’. Does The DAILY MILE promote teamwork and co-operation? Does it capture the imagination of all children or just the sporty ones? 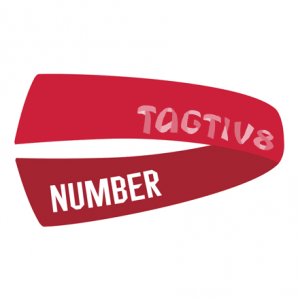 Does it truly engage children in the way Tagtiv8 does? The responses were mixed. With this in mind, we asked creative teachers to come up with solutions to making The DAILY MILE more appealing, relevant and sustainable. Can you beat your personal bests daily, weekly or over longer periods of time? Can it be linked to Mathematics and data handling? How can technology be utilised? According to The DAILY MILE, they do not recommend tracking progress, etc. as one their Core Principles is that The DAILY MILE remains non-competitive in schools so all children feel comfortable taking part, alongside their peers. This is the main reason The DAILY MILE focuses on 15 minutes, not the distance of a mile. You’ll probably have seen this fascinating event in the velodrome, where one team hunts down the other, but could the same approach be used for The DAILY MILE? Can you link movement with Maths? Can you chant your Times Tables as you run? Could you do the same with Number Bonds to 10,20,50,90,100? Is it fair to make children go to school AND then do homework on top? If you didn’t have to go to school, would you? For other ideas, click here or search #P4C or check out the wonderful ‘The Little Book of Thunks’ by Ian Gilbert. Individually, think or in pairs, discuss the story so far. When back, sit as a class and discuss or better still, walk and discuss further. Use the same approach by discussing ideas for a character or a setting. Do you have to run all the time? How else could you move? What about a hockey ball or a basketball? The possibilities are endless. Contact us with your best ways to help make the Daily Mile work across the curriculum. 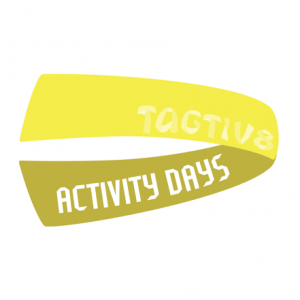 Tweet your ideas to @tagtiv8 #DailyMile – the more bonkers the better! “Our Sports Leaders choose a country to run to. When we reach our target we have a celebration day all about that country. Last year we got to Brazil where we played football, did samba dancing, made carnival masks and found out all about Brazil. It gives the children something to aim for. We also award a cup weekly in our celebration assembly for the class who has done the most miles.” Ruth Baxter. “We have also done a race to the north pole. Each ten laps translated into a certain number of miles. Then each class moved their elf in stages. Each class that makes it had a Christmas themed reward.” Julie Wilton. Would you like to take the movement one step further? Have you thought about combining physical activity with English and Mathematics? 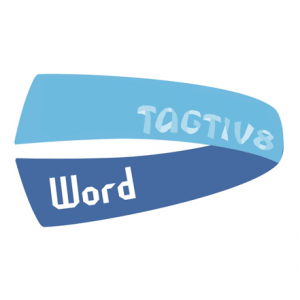 Why not join the 60,000 children already using Tagtiv8 Active Learning? Since this article was written, we have had conversations with the team at The DAILY MILE. Like Tagtiv8, The Daily Mile was created and devised by a school leader who ‘gets the pedagogy and sees the bigger picture’. Having read the Core Principles and 10 Steps to Success, we can see that The DAILY MILE is a kindred spirit. It’s not just The DAILY MILE as such – it really is about engagement and enjoyment as well as being creative! We would love to connect and collaborate…win/win solutions for health and education.